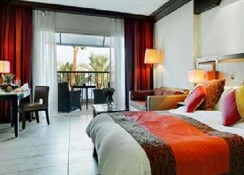 For business or pleasure, when in Sharm El Sheikh book your stay at the fabulous Grand Rotana Resort & Spa Hotel. 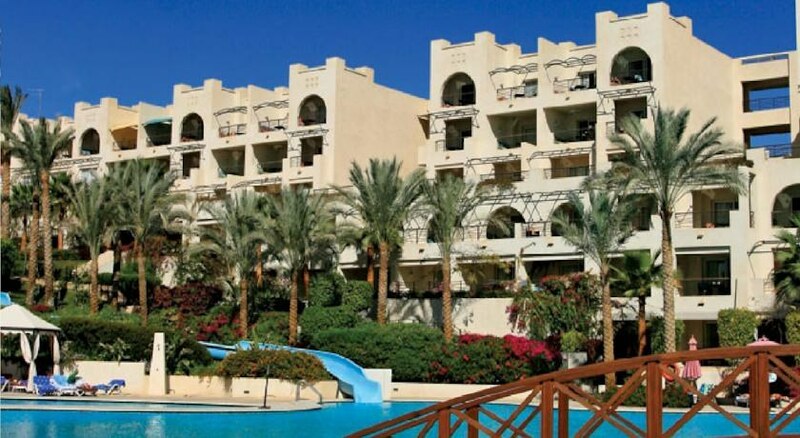 Located on the idyllic shores of Sharm El Sheikh, this stunning luxury beach front resort sits on its own 450 metre stretch of beach, surrounded by a lush tropical landscape and beautiful pools. 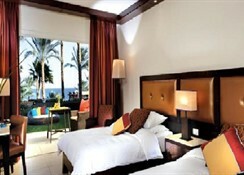 Just 5 minutes from the old town of Sharm El Sheikh, the hotel is close to the areas diving marina and the chic nightspots of Naama Bay with its varied selection of bars, restaurants, cafes, bazaars and nightclubs. 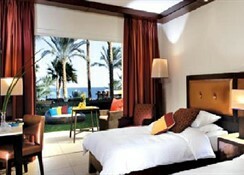 For an unforgettable holiday in Sharm El Sheikh, the Grand Rotana Resort & Spa Hotel exceeds all expectations! 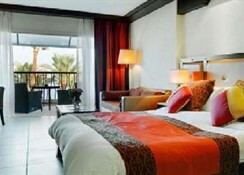 Sharm El Sheikh International Airport is 8 km from the hotel. The Grand Rotana Resort & Spa Hotel offers beautifully maintained gardens and luxurious accommodation for a fabulous holiday. Food, drink and entertainment: Three world-class restaurants and 4 bars. The Spa boasts 10 treatment rooms and relaxation areas, with treatments including Holistic Therapies such as the four hands massage, traditional Thai massage, body wraps and hydrotherapy. Other signature treatments include sea scrub body polish, after sun soother, the Cleopatra bath and Aroma deluxe facial. The Spa also offers specially designed couples suites and cabanas to ensure guests have a memorable Spa experience. Sports, games and activities: The resort has a magnificent lagoon style swimming pool with a size equivalent to 3 Olympic pools, tennis court, kids pool and kids club, kids cafe, state of the art Bodyline Fitness Centre, Hammam, plunge pool, sauna, steam room and beach massage, and a games room with billiards and table tennis. Additional: 24-hour reception, currency exchange, conference rooms, safety deposit boxes, shopping arcade, beauty salon, and high-speed Internet access in public areas. 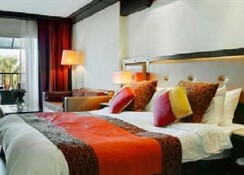 The Grand Rotana Resort & Spa Hotel features guestrooms, suites, grand suites and royal villas all equipped with en-suite bathroom, mini-fridge, in room safe, hairdryer, complimentary daily local newspaper (on request), high speed Internet connection, complimentary tea and coffee making facilities, Satellite TV, and telephone with voicemail as standard. Cots are available for free.